The Nemo Power Tools Waterproof Impact Wrench can carry out a wide range of fastening applications. Working both underwater and on dry land, and delivering 170 ft-lbs of maximum torque. This tool is powerful yet compact, weighing in at only 2.9 kg (6.39 lbs) and measuring only 6 inches long. Its ergonomic design means increased comfort on the job, featuring a built-in high power LED light to illuminate the work area. Furthermore Nemo’s impact mechanism is manufactured using the best raw materials with the highest quality steel; Also includes a unique heat-hardening process for maximum fastening and driving power. Indeed, it’s the world’s first and only waterproof impact wrench! Allied Powersports is proud to offer these tools for our most discerning off-road fans! Any automotive or powersports enthusiast knows the importance of keeping a proper tool kit stocked and ready for any mechanical breakdown or service. What happens if you have to perform field work on your UTV … in the rain … or mud … or snow? Kiss your Depot store power tools goodbye! 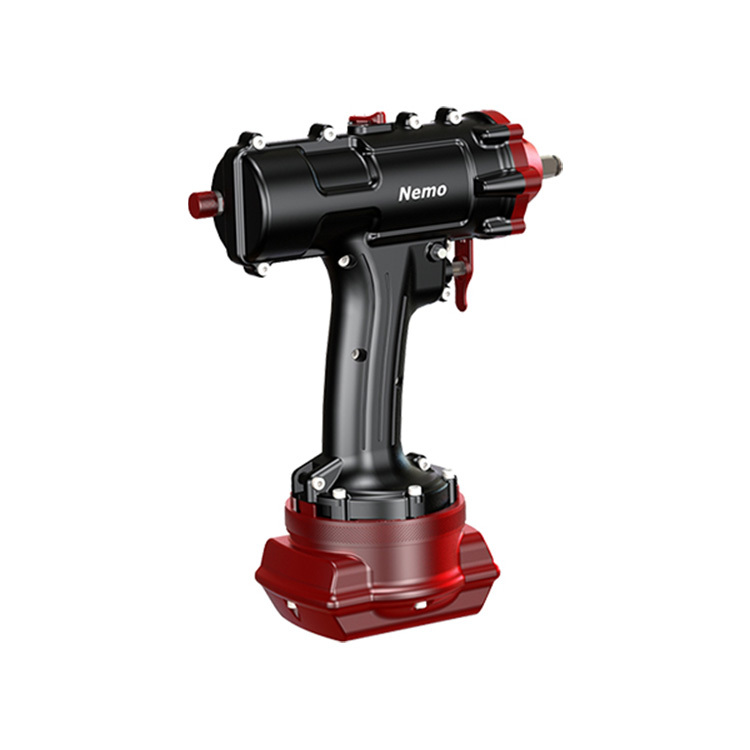 Stop messing around with lesser power tools … Add the Nemo Power Tools Impact Wrench to your tool box and be ready for repair in whatever weather conditions Mother Nature can throw at you … and, of course, be the envy of all your friends too! 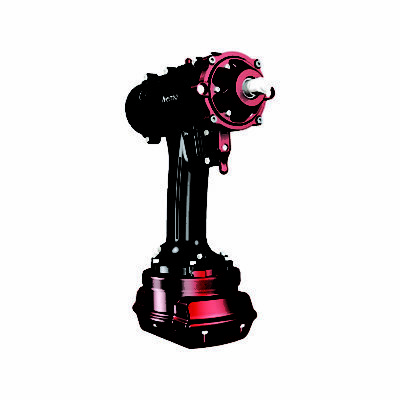 The Nemo Impact Wrench has a maximum operating depth of 50m (164ft). 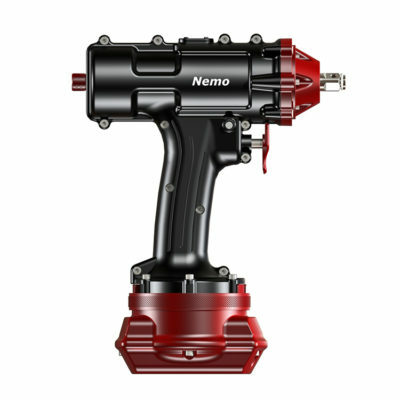 It has a salt-water resistant black and red paint job and comes with a durable carrying case, a battery charger, a pressure valve and a Nemo pump to pressurize the drill. Finally, two 18V 3Ah Lithium Ion batteries are included. Please allow 7-10 days to process your order.